On the 4th, we have another direct hit to the square between "now-or-never" Jupiter to "heal-it-or-fully-destroy-it" Pluto. There are far-reaching social and political implications of this event, but in terms of your personal life, know this: what you do matters. How you pace out the events of your life, what you take on, and what or who you let go of are terribly important now. Believe this: you are a unique thread in the tapestry of humanity, and you count. You know how intensely you’ve been feeling lately? Blame it on the Moon, baby. On the 7th, we have a Lunar Eclipse (which is like a super-juiced Full Moon with the volume turned all the way up) at 11:11am PST in the forward-thinking sign of Aquarius. You may feel irritable or on edge, and that’s OK; this is a time for transformation and time of healing – not for peace and stability. You’re not meant to maintain the status quo at this time of your life, unless doing so is heartfelt for you. This is a time where what you believe in is getting activated; you may feel a restless need to push things ahead to get answers, power, or to get away from something you don’t like. It’s best to be careful, Puppies. This is an explosive period, one that will have ramifications for a long time to come. Hold your ego in balance with your higher self, and keep your humanity at the center of your processing at all times. You can’t take back the things you do or say once they’re out there; pace yourself through your emotions and your reactions this week, especially when you’re tempted to run with them. When in doubt, wait 72 hours to allow your reactions and feels to settle. When you’re dealing with heartfelt issues, it’s hard to see your whole situation clearly. How we feel tints our perspective and, therefore, our experience. That’s not good or bad, but it is something to keep in perspective. When upsets occur – even wonderful upsets – it’s easy to lose sight of the big picture and fixate on your strongest, most persistent feelings. The trouble with this is that our most powerful feels are not necessarily the most true or constructive ones. When feels flare up this week (and that they will), choose self-care over self-sabotage at every turn. You’re ready to examine the role that fear plays in your life. The Lunar Eclipse on the 7th is going to bring with it so many feels that you may hit a bit of a wall. Take pro-active steps to manage sustainable self-care. Make space for movement, the arts (Instagram counts! ), and whatever else gives you some much-needed strength and perspective. Everything you do is an act of creation; build yourself into the person you want to be, Aries. It’s time to confront the conditions in your life that don’t reflect your values, Taurus. Tensions are running fast and hot this week, so here’s a Pro Tip for managing it like a boss: if you don’t like the game, don’t play. Don’t get so caught up trying to defend your choices that you miss out on knowing your own sweet self. Have enough self-love that you know what your needs and limits are, and enlist the strength of character to honor them, even when it’s hard, my love. You always have a choice, Gemini. The trick is to see it and to be brave enough to make the right one for you. This week’s Full Moon intensity will trigger feelings of scarcity that have been motivating you to live smaller than you need to. Not everything that feels good is good for you, and not all pain is a sign that something is wrong. Be willing to confront your feelings, even if they’re painful or scary; growth will happen by going through the complexities of your heart, not by finding a way to work around them. Your ruling planet is full this week and pulling us all along for an emo ride. What you feel is both an extension of your inner world and also a reaction to the past, your current conditions, and the people around you. It’s a lot. Do the work of sitting with your feels to better understand where they’re pointing you, Moonchild. It’s Eclipse Season, and you are meant to be changed; bring clarity to your emotions to make sure that you’re moving in the direction you want to be. How you relate to anger is up for you, so don’t be surprised if you find yourself agitated or compelled to stand up for something you believe in this week. It’s of the utmost importance that you believe in yourself while not getting caught up in proving it to others. Your ego is running a mild temperature, and if you’re not careful, you’ll trigger conflicts by acting hot under the collar. Find creative ways of experiencing the powerful and driving feels that you have, my love. 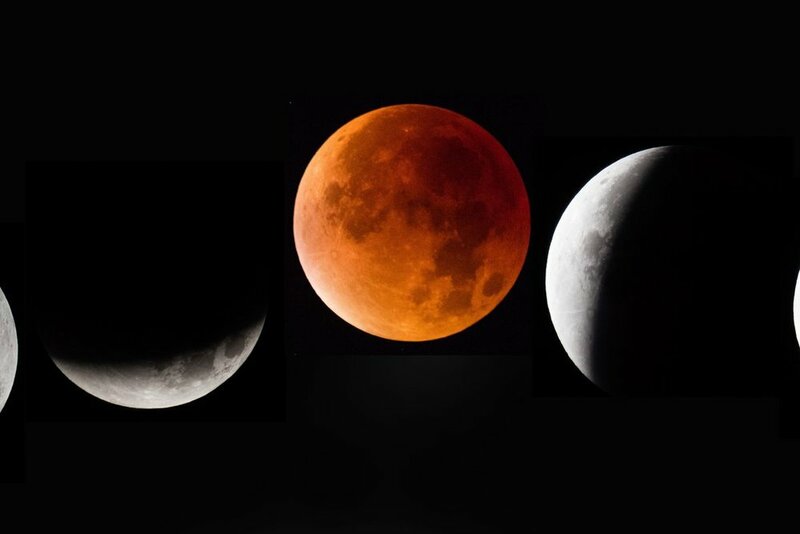 The Lunar Eclipse is ushering in a time for evaluating how you live. Whether your job, your health, or your general day-to-day habits need revaluation, the task is the same: make sure that you believe in what you’re praying to. Ritual and repetitive behavior are like prayer in action, and if you’re pouring your continued attention, time, and effort into conditions you don’t believe in and want, that’s pretty serious. This is an excellent time for facing the truth and making big changes based on what you learn, Virgo. When you feel low and down on yourself, it’s hard to believe that things will improve. It’s possible that your feelings may be more dramatic than your circumstances are and that’s OK, but it’s important to know the difference because they require different tools. Consider the bigger picture, Libra. Don’t get so caught up by what’s immediately in front of you that you miss out on what you can get from it. A shift in perspective is what you need for a lightening of your spirit, my love. It’s time to let go. You’ve been dealing with so much lately as the energy has been building to August’s two Eclipses. This is meant to be a time when you confront your innermost self, while being kind to whatever you find. You may have to let go of some people, things, or situations that you know aren’t working for you – don’t resist it. You must change in order to grow into the version of yourself that you’re trying to be; don’t hold yourself back, Scorpio. Change or be changed ‘cause keeping things the same is not one of your options! This week’s Eclipse is going to shake up your attitudes and friendships, which can be awesome if it’s not very dramatic. Your job is to look within, ‘Tarius. There’s a jumble of fear and hope within you, and you can make either one grow by giving it the right amount of attention. If you don’t know what’s coming next, you might as well choose to bring about the best, my love. What you believe in is on the line. This is the time to make sure that you are acting in ways that reflect what you value, even if that means making some pretty meaningful changes. This theme may play itself out in any area of your life, but watch out for your finances in particular. The value you place on money – what you’re willing to do to get it and keep it – is meant to be under inspection. Success is not a destination, Cappy. It’s a feeling, and feels ebb and flow. Get right with yourself this week. This week’s Lunar Eclipse in your sign is the thing to look out for. You’re coming to the end of a deep and meaningful cycle, and it’s gonna require all of your attention. The only problem is that you may find yourself feeling agitated and out of sorts. Explore your reactions instead of taking them at face value, Aquarius. What you’re going through is important, but the way you go through it will be defining. How you rise to the occasion is a reflection of your emotional maturity. Act in ways that reflect your integrity, not your situation. Having a strong imagination is awesome, but when it goes rogue on you, you’re in trouble, my love. Don’t let your mind get carried away with stories that you have no evidence to back up, no matter how real they feel. Things are not set in stone, and people are inconsistent and weird. None of that has anything to do with you! Allow matters to develop and people to be mysterious, and focus on being the most creative and kind version of yourself that you know how to be.